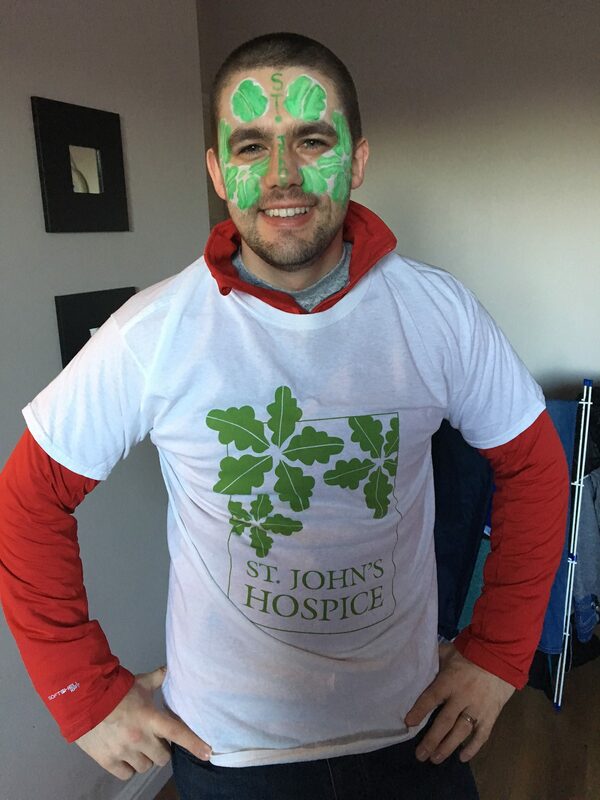 Home » About the hospice » Latest News » Fundraising News » Stephen challenges 30! 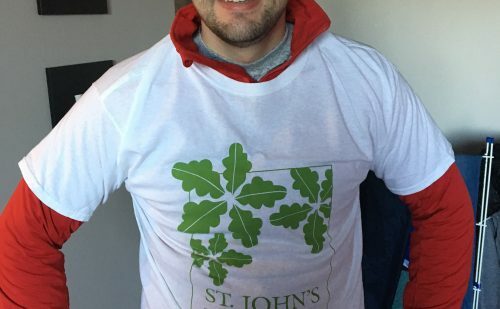 This week we have seen one of our most unique challenges take place by a St John’s supporter, as part of our challenge 30 campaign. Stephen Charlton turns 30 this year so to celebrate his 30th his wife Biba decided to tie it in with St John’s Hospice celebrating 30 years of caring within our community. Biba set a series of challenges and dares for Stephen and placed them in golden envelopes for him to open each morning. 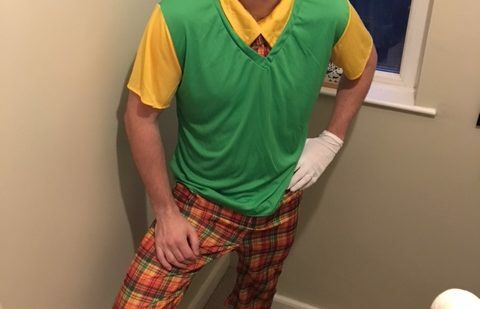 The week started gently with a game of golf, with Stephen in fancy dress! What a bobby dazzler he looked too! Stephen must donate 10p per shot he took and £5 per ball in the water. 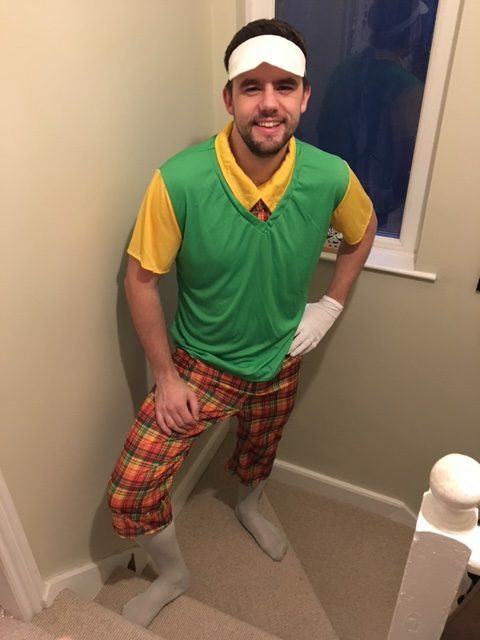 He took 132 shots and 4 balls in the water! 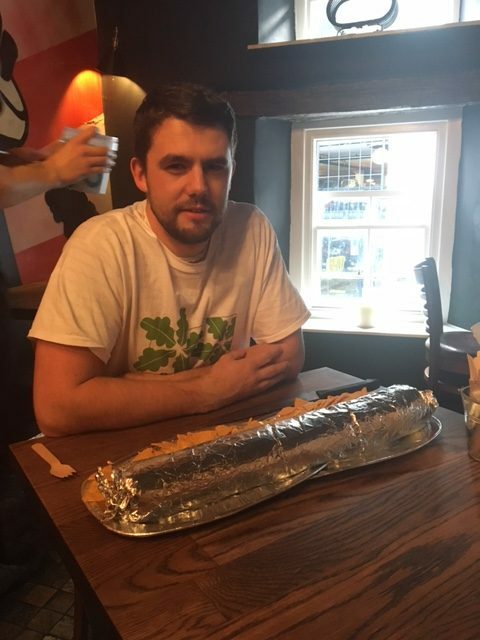 Tuesday saw Stephen take on the Man Vs Food challenge and a vertical Ice climb, one he loved, the other not so! Wednesday and Stephen is half way through the week. 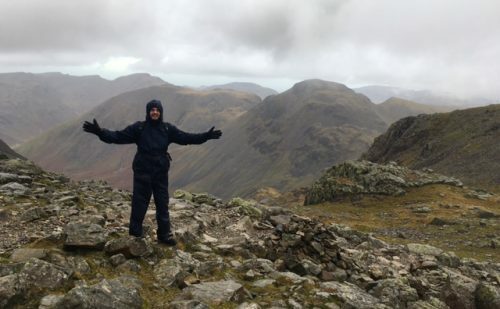 Today see’s Stephen take on Scafell Pike, England’s highest mountain. He made it to the top with the expertise of his friend, Ric. 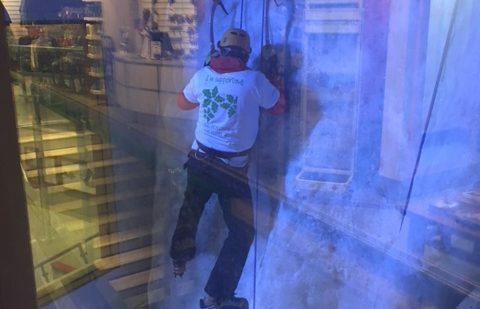 They managed to get to the top and back in 5.5 hours. 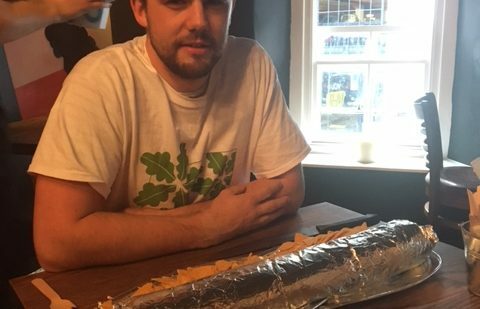 Well done Stephen! 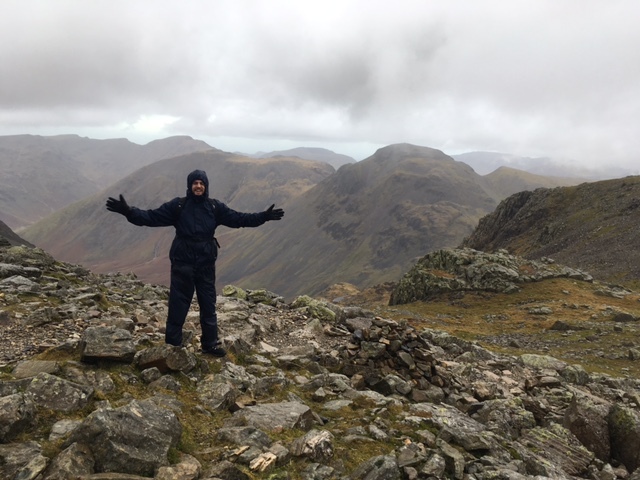 Thursday dawns and Stephen is embracing his challenges, to Biba’s relief! Now we know it’s not snowing but who wouldn’t want to learn how to Husky Mush. The dare for today was a head and beard shave. Stephen loves his beard! Friday and the grand finale. 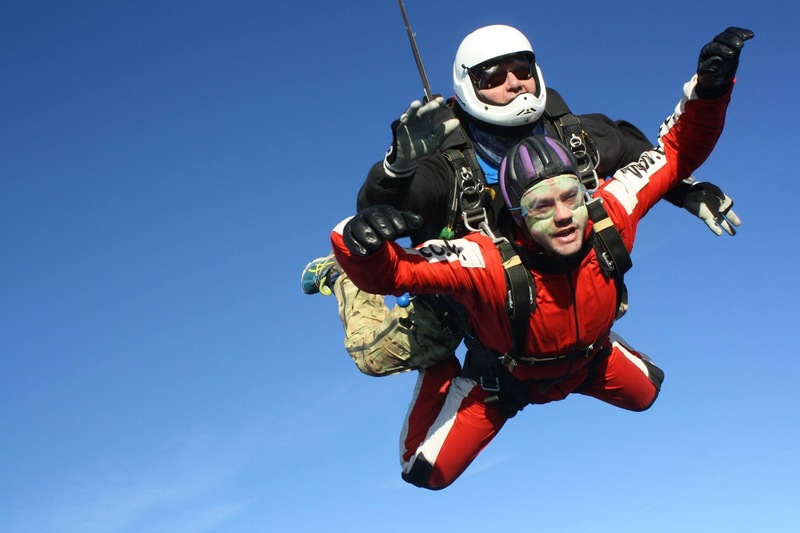 A tandem skydive, which is no mean feat especially when you are scared of heights! 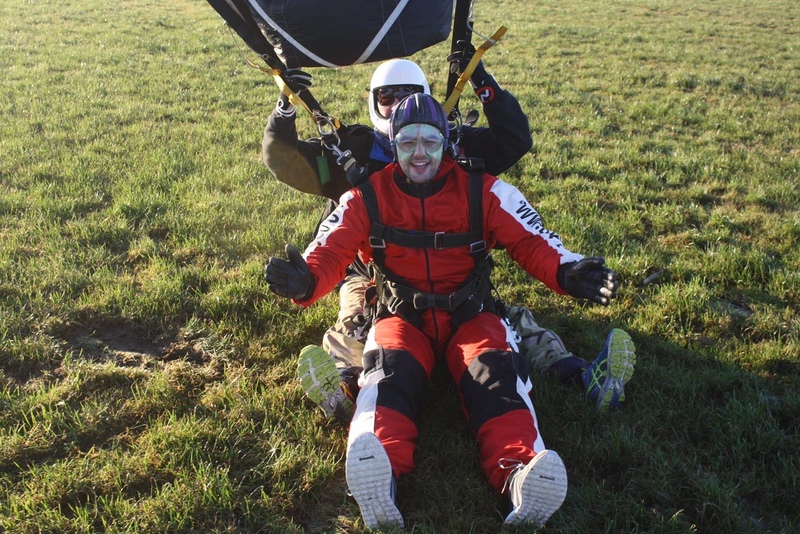 Unfortunately due to bad weather this challenge had to be postponed until the following week. Luckily Saturday saw glorious weather, much to Biba’s relief. 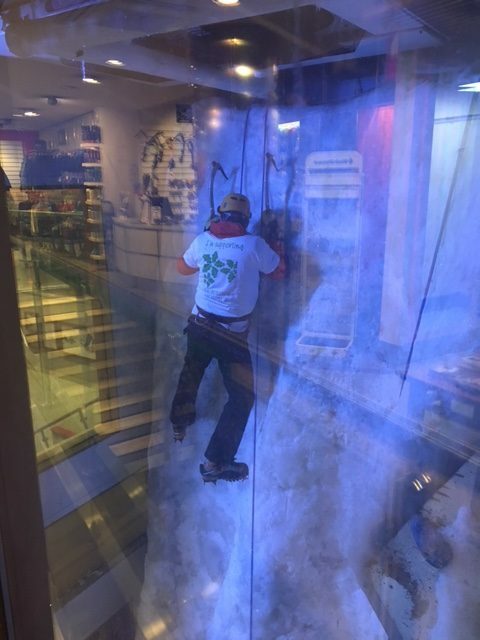 Stephen faced his fear of heights and with the help of his experienced instructor he faced his final challenge. Stephen has risen to every challenge that Biba has thrown at him and has surpassed his fundraising target of £500. 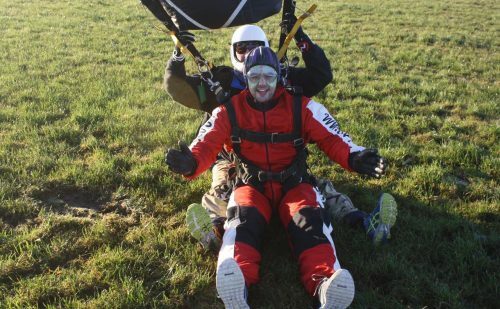 Well done Stephen, what a superstar you are!